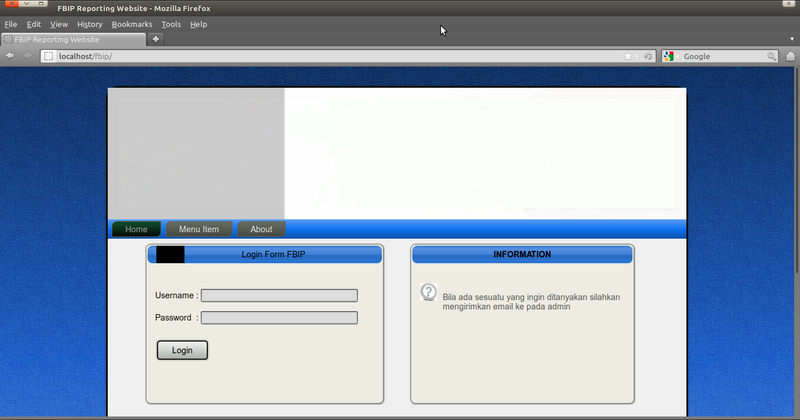 Ok, Lets try to bypass the login screen on my testing webpage located in /var/www/fbip. A simple, ugly web page will appear. 2. Lets try to enter some code on the username field. there will be an error. Lets put a # before the proses_login.php page and see what will happen. "the quieter you are, the more you are able to hear.."